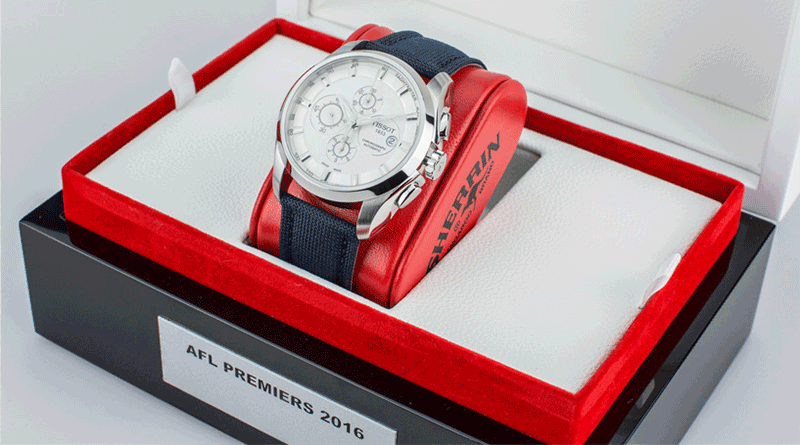 2016 marks the second year that Tissot have created the official AFL Premiership watch, to be awarded to the winning players and coach of the 2016 AFL Grand Final. On the eve of the main event, we took the opportunity to dive a bit deeper into what this piece from Tissot is made of. Limited to just 23 pieces, Tissot in association with the AFL and Sherrin have again created the official AFL Premiership watch. No less significant than an NBA Championship ring, each piece will be awarded to each premiership winning player and their coach. The piece is based on the Tissot T-Classic Couturier collection, specifically the Tissot Couturier Automatic Chronograph T035.627.16.031.00 which houses the C01.211 automatic movement with a 45 hour power reserve. They share a 43mm case and a date display at 3 O’Clock. What makes this piece unique is the case-back, the strap and the fact that in Tissot’s 163 year history this is one of the few times they have made a custom case mould for a line with such few pieces. 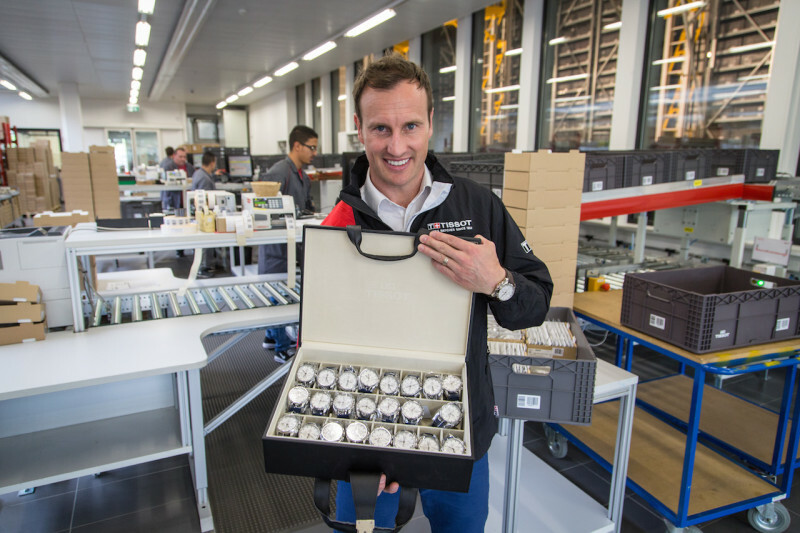 In 2015, Sydney Swans legend Jude Bolton made the pilgrimage to Le Locle, Switzerland to collect and personally courier the first ever set of AFL Premiership Watches back to Victoria, Australia in time for the 2015 Grand Final where they were awarded to the 2015 premiers; the Hawthorn Football Club. To create the unique case-back, Tissot designers requested an official premiership medal to enable them to create an accurate representation of the prestigious award. The AFL sent Tissot a 2002 Premiership Medallion which, after several months of replication allowed the perfect mould to be created. While Tissot had the premiership medallion in their hands, they also took note of the lanyard which ultimately inspired the design of the fabric watch strap which is unique to this piece. Tissot PRS 516 Automatic Chronograph as featured on the official Tissot AFL page. 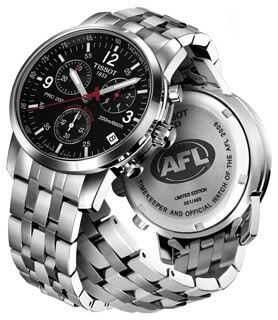 Whether you are going to be part of the 100,000 strong crowd at the MCG or part of the 2.6 million viewers from home, adorn your wrist with a Tissot in support of the official timekeeper of the AFL.